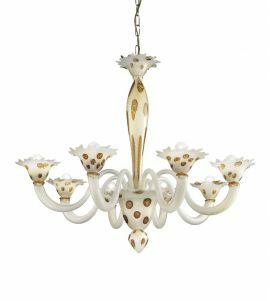 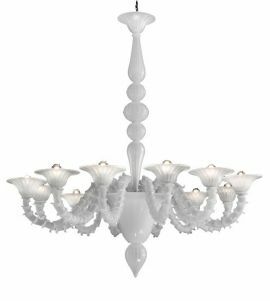 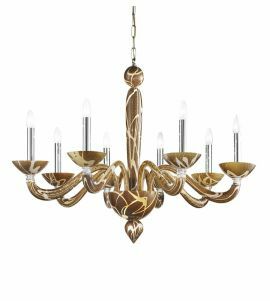 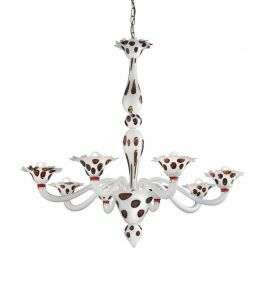 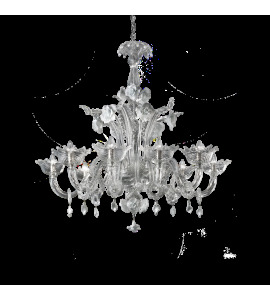 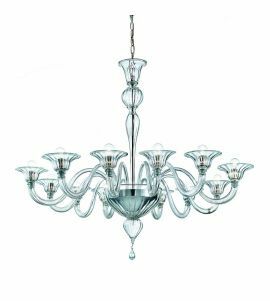 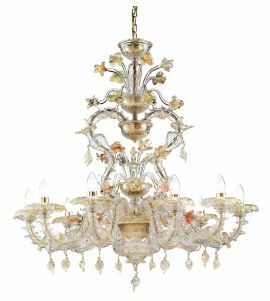 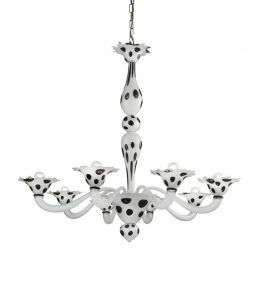 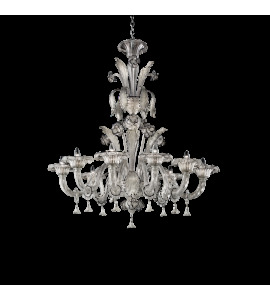 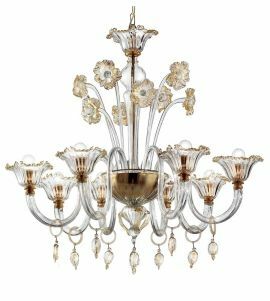 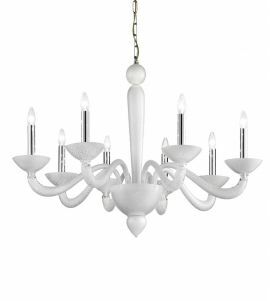 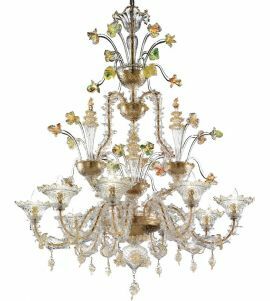 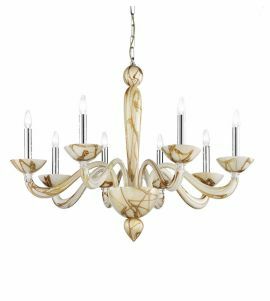 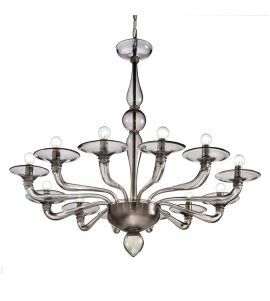 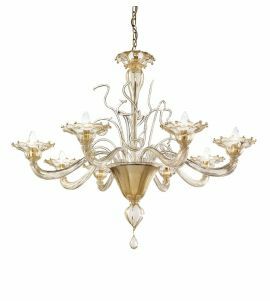 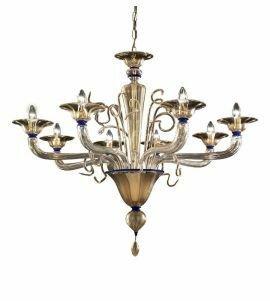 The chandeliers made from Murano Glass in the style of the early twentieth century are distinguished by the elegance of the profiles along with the clean and essential lines. 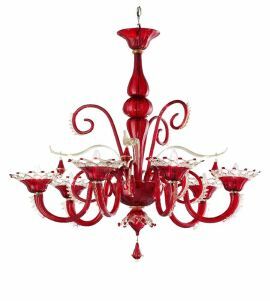 These luxury glass objects have been reinterpreted to become current thanks to new finishes while keeping the classic, original colors of red, blacks, amber and gold. 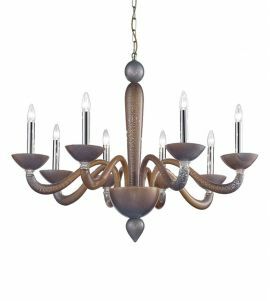 These works of art are much more than decorations as they show a great ability to to create a pleasant atmosphere and to attract the eye. 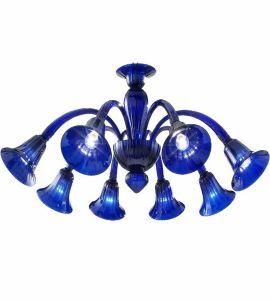 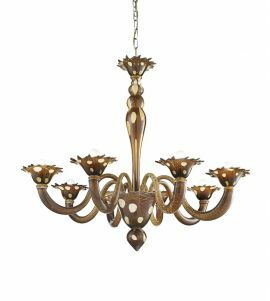 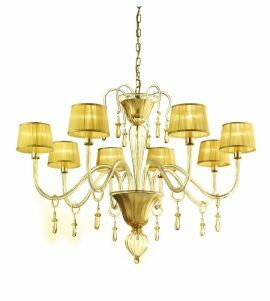 Chandeliers with 8, 10 and 12 lights are best suited for large dining rooms as well as restaurants, art galleries and boutique stores where more of them can be placed to provide light and a luxurious, welcoming atmosphere.